Tswalu Kalahari Reserve – a unique safari area in South Africa with a host of special offers to appeal to all ! Flights to and from Tswalu Kalahari Reserve operate from both Cape Town and Johannesburg. 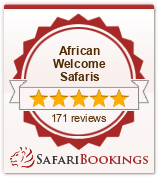 Contact our Safari experts to book this fantastic Special offer now !! Book This Special Offer Now! Minimum 3 nights at Tswalu. This malaria-free property offers superlative game viewing, including desert black rhino, black-maned Kalahari lions, meerkats and cheetah. Catering for just 30 guests, the emphasis is on privacy, flexibility and exclusivity. Guests design their own itineraries to include game drives, bush walks and horseback safaris, indulgent spa treatments and exquisite cuisine. Contact our Safari experts and bring the romance back into your life !